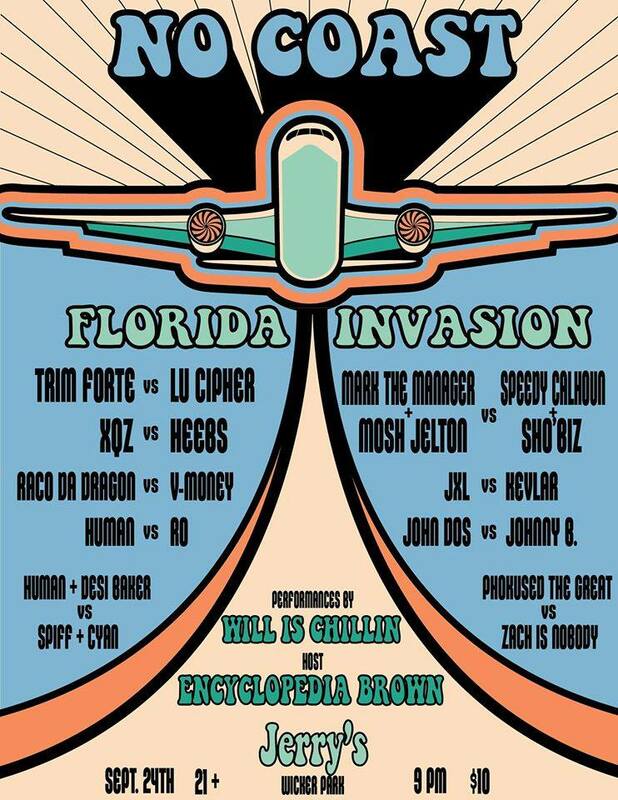 If you are in the Chicago Area on the 24th of September 2015 and are a battle rap fan, catch our good old friend Zach Is Nobody from SLAP Battles on the No Coast league’s card called Florida Invasion. Check out the No Coast Chicago events page on Facebook for more details. ← PurvGang says “screw the world…we are just doing us”!